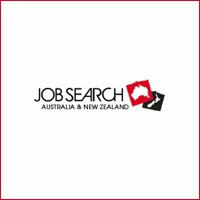 The Working Holiday Visa is a specific travel visa which has been created to help backpackers earn money as they work their way around New Zealand. The visa allows you to undertake casual work and travel around New Zealand for up to one or two years. A Working Holiday Visa – What is it? Many countries in the world offer working holiday visas and schemes to their visitors. Essentially it is an authority which allows you to be in the country and undertake paid work while you are there. New Zealand has one such scheme which allows those aged between 18-30 to take on temporary work during a stay of anything between 6-12 months in the country or 6-23 months if you are from the UK or Canada. Certain requirements have to be fulfilled but the process is relatively simple and the whole thing can be done online. If you plan on undertaking any work - paid or unpaid - you will need a WHV. So if you plan on fruit picking for a few days in return for a few dollars or cleaning a backpackers in exchange for a bed in a dorm room - you will need a Working Holiday Visa. Why would anyone opt for a working holiday visa? Why not just go the simplest route for a visitor visa? Well, just as the reasons for each of us deciding to travel differ enormously so too do the reasons why some of us nomads decide to go for a work/play combo. There are without doubt though some definite advantages. For starters it stretches the well-earned funds and allows us to travel for longer. That extra money also comes in handy for paying for all kinds of fun experiences. So now you don’t have to decide shall I do a skydive?..... or a bungee jump?.....You can do both! Next up is the fact that working presents any number of opportunities for drifting away from the over-done tourist trails and tours. Swap the places heavy on the tourist-traffic front with the chance to dive into some priceless cultural immersion, get pally with the locals and/or gain the kind of country insights that are never going to happen if you are simply holiday-making. You will be gaining valuable work experience which is going to look great on your CV once you are back home. You can stay in the country longer with a working holiday visa than a basic visitor visa. There are currently more than 40 countries with which New Zealand has a working holiday scheme agreement. Quite what conditions you have to fulfil depends on which country you come from but there are some general conditions which apply no matter which is your country of origin. The countries are: Argentina, Austria, Belgium, Brazil, Canada, Chile, China, Croatia, Czech Republic, Denmark, Estonia, Finland, France, Germany, Hong Kong, Hungary, Ireland, Israel, Italy, Japan, Latvia, Malaysia, Malta, Mexico, Netherlands, Norway, Peru, Philippines, Poland, Republic of Korea (South), Singapore, Slovakia, Slovenia, Spain, Sweden, Taiwan, Thailand, Turkey, United Kingdom, United States of America, Uruguay and Vietnam. These include things such as showing you have sufficient funds to pay your way should you not find work and there are several health requirements too. Perhaps most importantly of all, it is essential to understand that the scheme is intended for those who are here primarily for tourism purposes with any work intention being a secondary purpose. In the days before the Internet the whole visa application process for anywhere was often time consuming and complicated, requiring visits to embassies and all kind of jumping through hoops. These days it’s all seemingly done in the blink of an eye. The application process for New Zealand’s working holiday visa can all be done online. You can get the ball rolling with the application form itself and then turn your mind later to supporting documentation and fulfilling requirements such as buying travel insurance. You won’t be required to show the supporting documentation in most cases until you set foot on New Zealand soil and pass through immigration. Even then, not all who pass through are asked for this evidence but chosen at random. If there are any queries or your application requires more evidence – such as medical certificates for the longer term visas – this will be requested by email after you have submitted your online form. So, what do you need? Internet access to take you to www.immigration.govt.nz, your passport, a credit card to pay the fee of NZ$208 (there is no other way to pay this) and around an hour or less of your time tapping away at your computer keyboard entering your details. If you want to fill in the application a little bit at a time you can save what you’ve done and come back to it later. Additionally, should you be happy to fork out some extra cash, there are several approved bodies who will complete your application for you. Once you have submitted your application you will typically receive an email within 5 days which essentially says 'approved' or 'we need more information'. If it is approved you will receive your hard copy visa electronically which must be put in your passport. How Long Before I Travel Do I need to Apply for a Working Holiday Visa? Some of the countries on the eligible list for working holiday visas have a strict number issued every year. Once that number has been granted no further working holiday visas will be given out until the following year. If you are from one of these quota-capped countries it is vital you complete your application as soon as the set date arrives to stand any chance of qualifying. As the working holiday visa is valid for a year after its issue date it makes sense to get the application in as soon as you have made up your mind to go down the working holiday route in New Zealand. You don’t need to worry about losing some of the time from your 6/12/23 months visa allowance either – it doesn’t take effect until you enter the country. For many nationals it is possible to apply for a working holiday visa after you arrive in the country. However, getting supporting documentation might be trickier this way and you will not be able to work until your visa is processed – typically a 4-week time scale minimum.